CJSR Launches new audio stream! CJSR is happy to present to you its brand new Internet Audio Stream! We’ve moved away from the shoutcast stream and have partnered with StreamOn to bring you a more stable, reliable audio feed, that will play right in any internet browser. No more copying and pasting into itunes or windows media player. 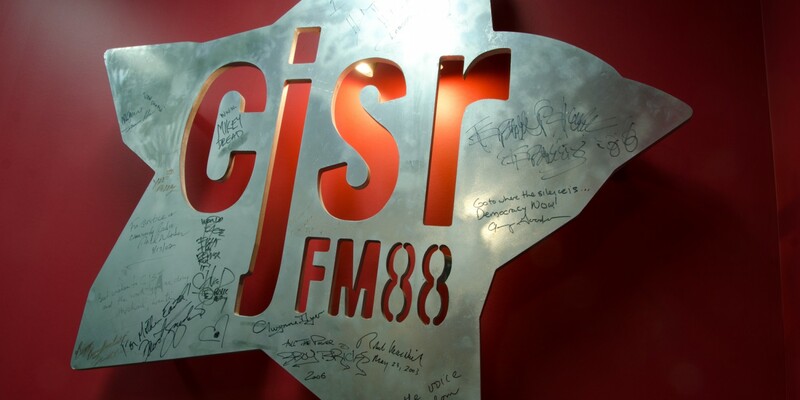 We hope this will make it easier for you to enjoy CJSR wherever you are! Happy Heritage Day! I hope everyone got a chance to go eat meat on a stick in Hawrylak Park this weekend. I think the sun burned my head. Ouch. Yep. This week on the charts, Mitchmatic takes the top spot with his new mixtape, Two Weeks Off. It’s free from his website! Check it out! D-Bags!